Anyone who owns or wants to own a successful business knows that it is built on a great first impression. Best Signs Incorporated, located in Palm Springs, California understands this concept as well. They have been in the sign design industry for over 40 years, creating works of art that have not only boosted company's clientele, but also have provided information at a number of different venues. Their 40-year span in the sign design industry has allowed them to hone their craft to perfection. Because technology has made huge advancements since they began, they have been able to innovate at every turn. They understand how technology can take a project to the next level, but they also appreciate the roots of basic creativity. 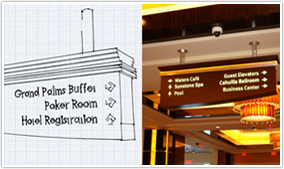 Any message that a business wants to send through sign design can be easily dreamt up and created in their office. Best Signs Incorporated is not just an office that pumps out ideas, they can make, repair and install them as well. They also offer permit procurement services, wielding and manufacturing and crane services. Because they understand and work in all of the aspects that go into creating a sign and marketing a business, they are better able and equipped to develop signage that captures the essence of a business perfectly. 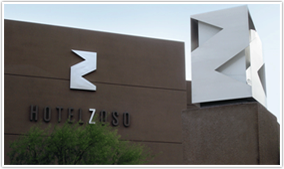 They also understand geographic and seasonal differences that contribute to sign design and business marketing. 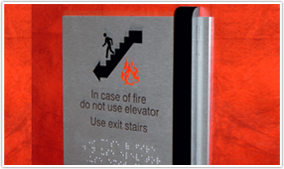 Digital print, electrical, event, and directional signage, interior aesthetic designs, individual, identity, logos and unique applications are all signs that BSI has under their belt. It is easy to see from their portfolio that they cannot be stumped by any idea. Providing quality service and meeting the needs of any individual or business is their forte. Their high quality products have them featured with individuals and very well known businesses as well. Through their featured projects with Georgio Armani, Eisenhower Medical Center, Kaiser Restaurant Group, The Agua Caliente Casino, Resort and Spa and many more, anyone can get a feel for how dedicated BSI is to the quality and creativity of any design.